The seasoning is liberally rubbed over the fish and then the fish is charred on both sides in a heavy iron skillet over medium-high heat. 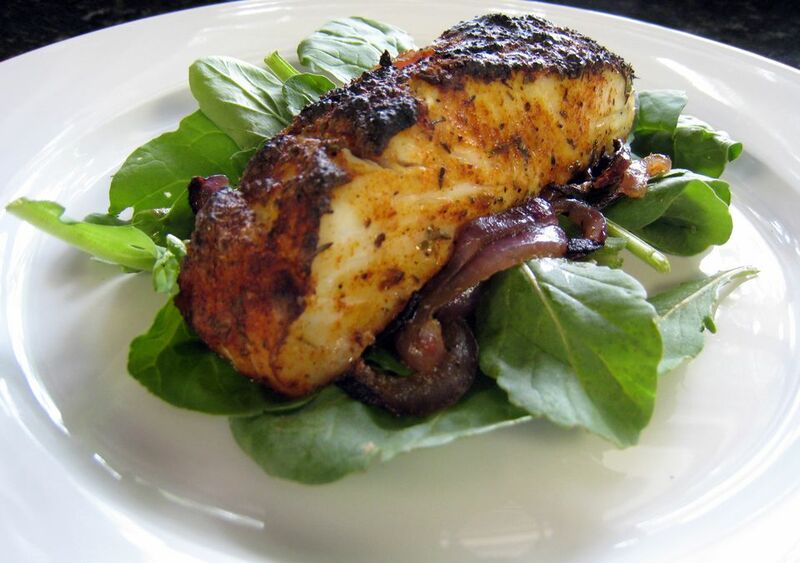 When blackening food, remember to turn off the smoke alarm and have the exhaust fan on high! Mix together all ingredients for seasoning mix and store in a jar with lid. Over low heat, melt butter in a nonstick skillet (enough butter to cover fish and the bottom of the pan). As soon as the butter is melted, place the fish in the pan, flipping it over to cover both sides with butter. Then generously coat the fish with the seasoning, flip over again and coat the other side with seasoning. Now turn up the heat to medium-high and cook the fish on one side until blackened and somewhat crispy. Flip over and cook the other side. Add a little more butter whenever necessary.